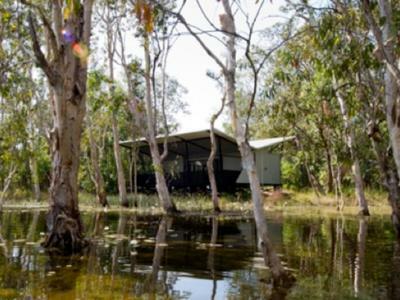 Enjoy a visit to the Darwin Open Gardens Scheme participating gardens to see a variety of landscapes, tropical plants, exotic palm trees and Australian native flora in these inspiring gardens. OGA's Deputy Chair Brigid Robertson said the organisation had become a victim of its own success and could no longer compete with other groups. "When Open Gardens started 27 years ago there wasn't too much to do on a Saturday or a Sunday," she said. 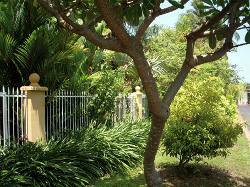 Australia's Open Garden Scheme is a not for profit organisation founded in 1987. Its mission is to promote the knowledge and pleasure of gardens and gardening across Australia by opening inspiring gardens to the public. Each year the Scheme opens around 600 private gardens across every geographical region. The first of the Darwin open gardens started in 2000, and this year gardens will open in Darwin, Palmerston and the rural area. 65% covers the Scheme's operating costs, with surplus funds returned to the community via our Community Grants program. To date, more than $850,000 has been given to community projects across Australia. Charities and local causes have benefited to the tune of nearly $4 million thanks to the generosity of garden owners donating their gate share and proceeds from refreshment sales and stalls. 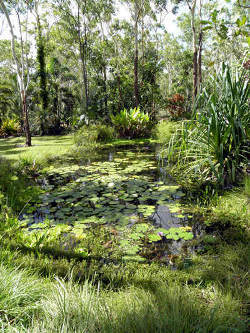 Visit www.opengarden.org.au to find out about gardens open across Australia. This information is updated regularly. However from time to time due to circumstances beyond our control, last minute cancellations can occur. Return from Darwin Open Gardens to Enjoy Darwin Home.